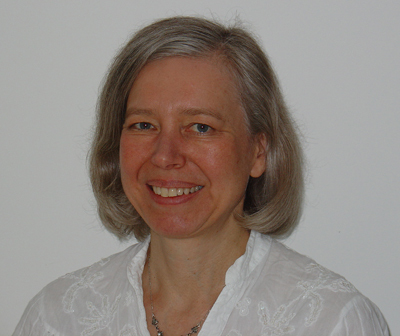 Jenny has a thriving Suzuki piano teaching practice in Cambridge. She is an ESA teacher trainer and runs her own Suzuki teacher training course. She has published many articles on various aspects of the Suzuki approach. In 2010 she published a book, Successful Practising: A handbook for pupils, parents and music teachers (and is currently writing a book on teaching). She has recorded the complete Suzuki piano repertoire. She has also videoed short teaching tutorials on each piece in books 1 to 4 of the repertoire. I read music at Huddersfield and became a conventional piano teacher offering private tuition. After seeing a demonstration by Anne Turner, a pioneer of the Suzuki approach to piano in the UK, I trained as a Suzuki teacher in the 1990s. I now teach exclusively by the Suzuki approach and have a thriving teaching practice of pupils aged from 3 to 18. I also direct a Suzuki piano teacher training course in my studio in Cambridge. The article What is interesting about Suzuki? summarises the essence of the Suzuki philosophy. Its ten key principles are listed. I have written a Notebook for Suzuki Piano Teachers. My Piano Teaching Ideas are drawn from my experiences as a Suzuki teacher. I have made audio recordings of most pieces in the Suzuki piano repertoire for pupils to listen to. And I have videoed short tutorials on each piece in books 1 to 4 of the repertoire. I give lecture/demonstrations nationwide with ideas for piano teaching, ideas for group lessons, and about the Suzuki approach to music teaching, all illustrated by performances from my pupils. As an ESA teacher trainer I have taught on Suzuki teacher training courses in London and Galway (Ireland). A number of my articles have been published in various music, teaching and psychology journals. Some years ago I completed a master’s course in Psychology for Musicians at Sheffield University. During the course, I undertook a research project into the role of the parent in the teacher-child-parent relationship and wrote a dissertation on Learning the Piano: Teachers’ attitudes to parental involvement. My powerpoint presentation, Learning the piano: attitudes to parental involvement, arose from my research. My book Successful Practising: A handbook for pupils, parents and music teachers draws on my experiences as a student, teacher and parent. My own three children all learned piano by the Suzuki approach, briefly with Anne Turner and Amanda Martin, then with Kevin Smith, and all achieved grade 8 by their mid-teens. They performed six hands at one piano at Symphony Hall, Birmingham, and the Purcell Room, London, as well as playing the Mozart Triple Piano Concerto at the University Concert Hall, Cambridge, when they were 10, 12 and 14. My daughter, Pippa, was also a Suzuki cellist, and by the age of 13 had achieved distinction at grade 8 on double bass, cello and piano. She played double bass with the National Youth Orchestra of Great Britain, the European Union Youth Orchestra and the European Union Baroque Orchestra. She gained a first class honours degree from the Royal Academy of Music, then studied for a masters in historical performance in New York at the Juilliard. She is a qualified Suzuki cello and double bass teacher. She performs regularly with orchestras such as the Orchestra of the Age of the Enlightenment, including several seasons at Glyndebourne, and with conductors such as John Eliot Gardiner. Pippa teaches in London and Cambridge. See more on her website: Pippa Macmillan.